Vietnam has not only grown to become a manufacturing hub but in recent years has also become an attractive destination for multinational corporations to locate their R&D activities, according to Vietnamese management consulting firm Business Development Group (BDG). The increasing appearance of FDI projects in the R&D sector may help Vietnam swiftly transform itself from a purely production economy with lower added-value into an incubator of new hi-tech initiatives with higher value added. From an investors’ point of view, the rationale is to bring R&D and innovation close to manufacturing and therefore obtain efficiency and cost savings. In order to encourage investments in hi-tech, the government provides tax incentives and land rental waivers for projects crossing certain thresholds. As a result, in addition to multinationals such as Samsung, Panasonic, Yamaha, Bosch, GE, HP, and Piaggio having R&D centers in Vietnam, various major enterprises have also recently set up or been in the process of establishing their own R&D centers in the country. South Korean tech giant Samsung launched a second R&D center at the end of last year - Samsung Ho Chi Minh Research & Development Center (SHRD) and Executive Briefing Center (EBC) - located at Samsung Electronics Ho Chi Minh City (SEHC) at the Saigon Hi-tech Park (SHTP), following the first $300-million Samsung Vietnam Mobile R&D Center (SVMC) in Hanoi. The EBC in Ho Chi Minh City is considered to be the largest of its kind in Southeast Asia. While SVMC concentrates on researching smart devices and applications, the R&D center in the south has focused on cutting-edge technologies for use in household appliances and electronics. It spent $600 million on building the second center, where about 400 engineers and other staff develop new technologies. SHRD has supported research centers in South Korea to design and modify the functions of products for each market. The products designed and produced at SHRD and SEHC will be exported to 64 countries and regions all over the world. As at the end of 2017, the center had 400 personnel and is estimated to have 500 by 2020, most of whom will be Vietnamese. At SVMC, Samsung plans to have 2,600 staff working at the Hanoi R&D center by the end of this year. Vietnam is in the process of restructuring its economy under a new growth model, so the transfer of technology through FDI projects has been a key target in FDI attraction efforts, according to Mr. Nguyen Mai, Chairman of the Vietnam Association of Foreign Invested Enterprises. With R&D projects, Vietnam has the opportunity to move to production with higher added value in addition to a quicker technology transfer process, thanks to the increasing presence of Vietnamese employees working in large corporations. According to the Ministry of Science and Technology, two economic sectors - oil and gas and IT and communications - have seen a strong pace of development thanks to technology transfer and R&D attached to FDI. Since it first attracted FDI, Vietnam has expected leading global tech giants to invest heavily in R&D. But despite becoming a world manufacturing hub, it is clear that Vietnam has struggled to attract huge FDI projects in R&D centers like Samsung or Bosch and utilize local resources and move towards long-term investments. Meanwhile, Vietnam’s comparative decline in the Global Competitiveness Index in 2018, where it is down three places compared to 2017, can be explained by technology transfer not meeting the needs of modern technological innovation in the country. Figures from the Ministry of Planning and Investment last year reveal that over 80 per cent of foreign-invested enterprises (FIEs) have been using medium technologies, 14 per cent low and backward technologies, and only around 5-6 per cent high and advanced technologies, while the target is 35-40 per cent. For Vietnam, the rise of R&D investment further confirms and fosters the country’s attractiveness but also greatly challenges its human resources (HR) capacity, according to BDG Vietnam. As interest from foreign investors in locating their R&D activities in Vietnam grows, the country will have new opportunities to move up in the global value chain. Nevertheless, a competent workforce, which is key to the feasibility of R&D, is still to come. The lack of scientific research at universities and enterprises and ongoing poor investment in higher education lead to a low number of experienced and trained researchers and technicians. The solution, apart from greater investment in education and R&D from the government, is to encourage R&D activities in local companies and to collaborate with foreign investors to educate employees and local communities. Without these steps, Vietnam could see a major shortage of HR talent for future R&D centers. R&D projects in the country have been increasing in both quantity and scale recently thanks to preferential policies granted by the government to foreign investors, such as tax incentives and land use rights. 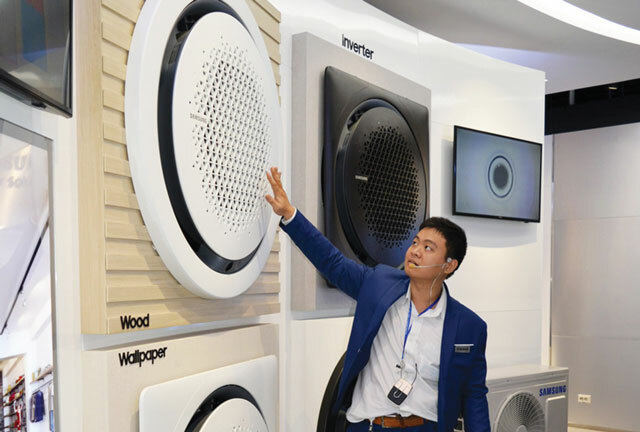 Vietnam has become a destination for many major manufacturers of technology products, and besides moving R&D closer to where manufacturing happens, such moves are also cost-effective. South Korea’s Dasan Zhone Solutions, one of global leaders in fiber access transformation for enterprises and service provider networks, has been cooperating with the Vietnam - South Korea Institute of Science and Technology (V-KIST) to develop R&D activities in Vietnam, for example in chipset design. Apart from accelerating investment in Vietnam, a raft of Japanese businesses is also considering transferring part of their R&D activities to the country. However, in fields such as hi-tech, the quality of HR in Vietnam falls short of investor requirements, according to Mr. Yung Kim, CEO of Dasan Zhone Solutions. The company lacks qualified personnel, he said, because Vietnam’s IT universities do not offer training on chip programming. Graduates are intelligent and possess sound knowledge, but do not have skills and practical experience and so work at a slow pace and are ineffective. HR has become one of the greatest challenges for FIEs investing in R&D in Vietnam. Solutions have been forthcoming, such as FIEs cooperating with local universities to allow students to gain the necessary experience. Some also organize additional training or provide scholarships and internships in their R&D center. Mr. Mallikarjuna pointed out another factor that affects R&D investment in Vietnam: infrastructure. Both transportation and communications (bandwidth limitations and stability) infrastructure directly affect R&D development in the country. He suggested that the government arrange for closer cooperation between industrial researchers and universities and invest in state-of-the-art equipment at universities. To deal with the shortage of professional employees, Vietnam also needs to have reasonable policies to attract Vietnamese experts and talent currently working overseas. Along with limitations in HR, Japanese FIEs also seek certain priorities in transferring their R&D center to Vietnam. A representative from Sumitomo Vietnam recommended that in order to attract further Japanese investment, local governments need detailed policies on support measures. On a similar note, Mr. Mallikarjuna said that more open-door policies and attractive tax incentives for R&D centers would push up R&D activities in Vietnam. Moreover, in the context of Industry 4.0, it is necessary to have the involvement of industry experts and a technology roadmap and policies and guidelines for smart city initiatives. In talking about Bosch’s upcoming plans in R&D development, he said its automotive R&D center would continue to focus on mechanical components. “As smart city and Industry 4.0 trends are picking up momentum in Vietnam, the Software and Engineering R&D center will put additional investment into expanding Test and IoT labs,” he said. Furthermore, in order to be ready to handle projects that are more complex, Bosch will also continue to invest in training to build up the competencies of its associates.